New laws to introduce a zero-tolerance approach to drug-driving are being proposed by the Scottish government. Ministers want to make it easier for the police to target people driving with illegal drugs, such as cannabis and cocaine, in their bloodstream. Currently it is illegal to drive if impaired by drugs in Scotland. The new law aims to make it quicker and easier to hold drug-drivers to account and would avoid the existing need to prove someone was driving in an impaired manner. Under the proposed changes, there would be specific limits for certain drugs – as there is with alcohol – and a zero-tolerance approach to others. Under the Scottish government plan, eight of the most common illegal drugs – including heroin, ketamine and ecstasy – will have limits set very close to zero so as to rule out claims of accidental exposure. A further eight drugs, which can be used for medicinal reasons – such as diazepam and methadone – will have higher limits based on their ability to impair drivers. For the first time, the proposals will mean that just having drugs in your system is sufficient evidence to prosecute; if the limits are breached there will be no need to prove driving was impaired. A similar crackdown came into force in England and Wales in 2015 where officers use a drug testing device called a ‘drugalyser’ to check for cannabis and cocaine. The testing kit uses a mouth swab to check for the presence of drugs and a blue line appears after 8 minutes if the person has taken any. Police Scotland is currently deciding whether they will use these drug testing devices for the crackdown, which is set to come into force on 21st October. A vote of MSPs will be needed for the plans to come into force. 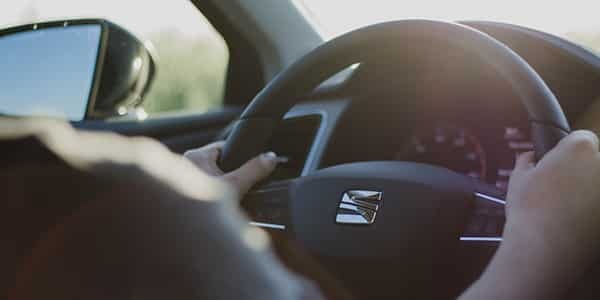 The existing law makes it an offence to be in charge of a vehicle while unfit to drive through drink or drugs, with the penalties being a minimum 12-month driving ban, up to 6 months in prison and a fine of up to £5000. The new offence of driving while above specified drug limits will operate alongside this current offence and carry with it the same maximum penalties. In some areas of the UK, drug-driving is becoming as common as drink-driving. Chief Inspector Stephen Innes said that tackling drink- and drug-driving was a key focus of Police Scotland’s activity. “The devastating impact of drug-driving on victims, communities and users themselves cannot be understated. This new legislation will significantly enhance our ability to detect and deter motorists engaging in this extremely risky driving behaviour”, he said. AlphaBiolabs has a Walk in Centre based at Glasgow Medical Rooms, 211 St Vincent Street, Glasgow G2 5QY. Attending this Walk in Centre could save you time and money on drug and alcohol testing. For information on any of AlphaBiolabs’ drug testing solutions, including our home drug testing kit and Workplace Drug Testing options, please call 0333 600 1300 or email us at info@alphabiolabs.com.